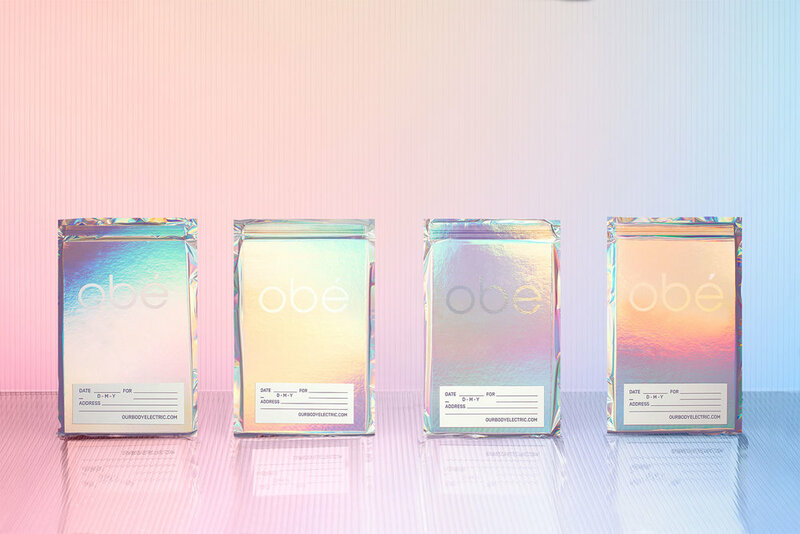 Futura designed the beautiful iridescent branding and packaging for Obé, an app that specializes in helping get you in shape by providing exercises and classes from the convenience of your phone. “Our inspiration: James Turrel meets Dan Flavin. 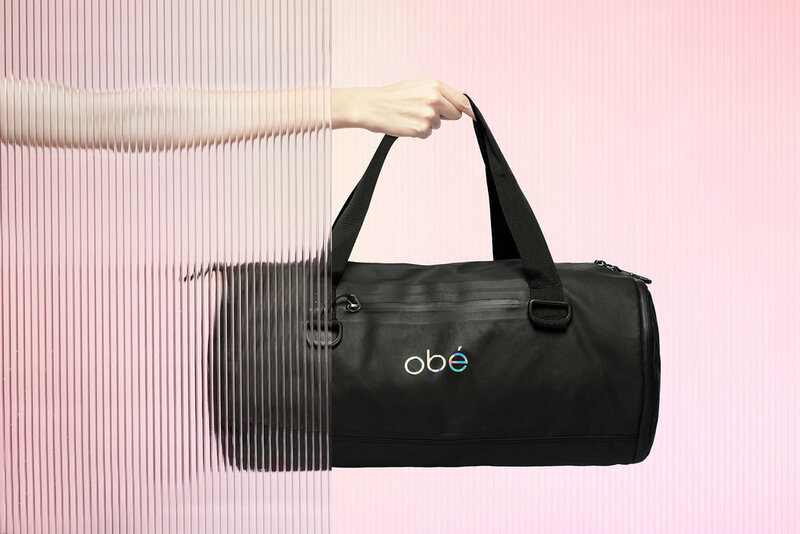 We created a powerful visual image: fresh, bright, fun, strong. It reflects energy with powerful and stimulating colors, dynamic forms performing together to compose a feeling of dynamism and transformation. We created a Turrel inspired color gradient and iridescent texture. 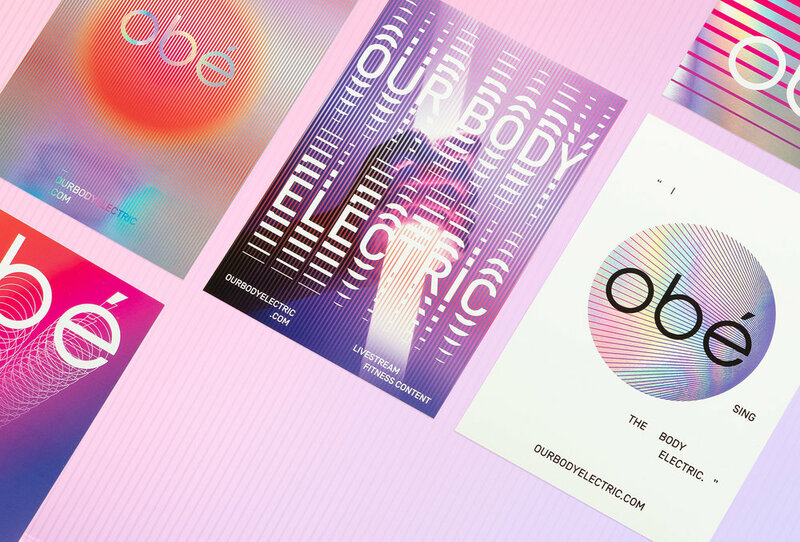 Combined with experimental and fun editorial design, it creates a dynamic brand, giving an illusion of constant movement.